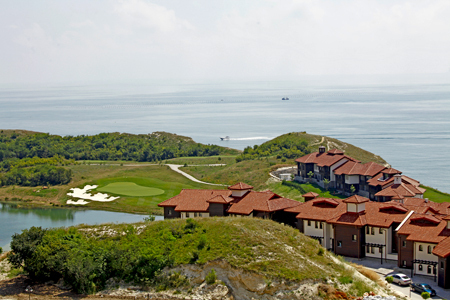 We are delighted to have received news that the breathtaking Thracian Cliffs Golf & Beach Resort in Cape Kaliakra has been rewarded with Bulgaria"s first professional golf tournament. The 2013 Volvo World Matchplay Championship will attract some the the worlds leading golfers and the tournament will take place between the 16th to 19th May 2013. Balkan Holidays offer flights and holidays to Varna which is just 40 minutes from Thracian Cliffs Golf & Beach Resort from London, East Midlands, Manchester and Newcastle.